Pet Safety is so important! 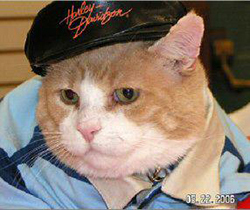 Cats, Claws & Cruelty Claws are one of a cat’s most valuable assets. All cats use their claws practically every day of their life. Cats use their claws for scratching, climbing, balance, defense, playing, kneading, and even self-expression. From a cat’s point of view, claws are not optional. Claws are an integral part of a cat’s “catness. 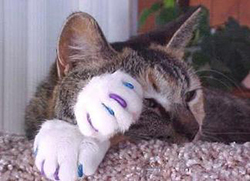 “No cat wants to be declawed. Clipping your cat’s claws really makes a difference. 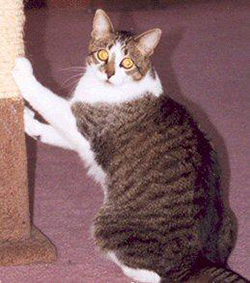 If claws are kept blunt, a cat that strays from the scratching post from time to time will do little to no damage. You can get results without painful and mutilating declaw surgery by cutting the nails every two to six weeks (long toenails can grow into the toe pad). HEART cats and kittens live in foster homes where they receive lots of love from their temporary family. Moving to a new home is probably one of the most stressful events your cat will encounter. 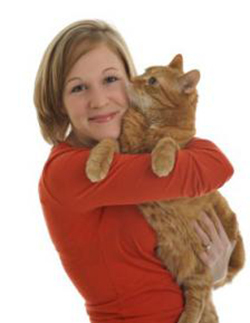 It may take several days to several weeks for your new pet to adjust to a new home. 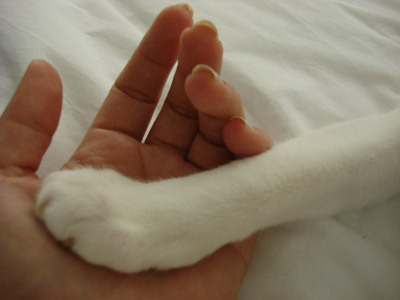 With time, love and patience, your pet will settle in to become a wonderful and loving companion. 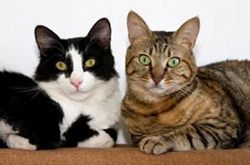 Like people, cats are choosy about their relationships – they can be the best of friends or just tolerate each other with a minimum of conflict. Successful introductions require time and patience to ensure a good relationship develops. Obtaining a suitable scratching post is important. But bear in mind that your idea of suitable post and your cat’s may not coincide. There are horizontal scratchers for carpet-lovers, wedge shaped ramps for cats who scratch low on furniture, and upright posts for cats that like to stretch. 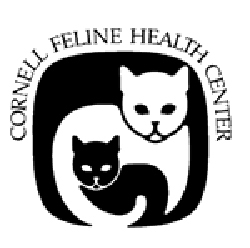 For some cats, elimination outside of the litter box may be the first sign of a health problem that requires veterinary treatment. For others, inappropriate elimination may be a sign of stress or frustration. 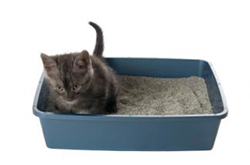 Why do cats eliminate outside of the litter box? One common misconception is that cats soil in inappropriate places for revenge. It is tempting to conclude, “He defecated on the living room carpet to punish me for leaving him for the weekend.” But this kind of calculation requires sophisticated cognitive abilities that cats aren’t believed to possess. Furthermore, this conclusion assumes that cats view their urine and feces as distasteful, when in fact they do not. It is only we humans who view it that way. This is Bob. When cats like Bob are diagnosed with FIV, nobody wants them. You’d think they were an unexploded bomb or an X-rated movie. Make that FIV-rated.